When I got my Instant Pot, I certainly didn’t think I would be making ribs in it. But guess what! These Instant Pot fall off the bone ribs are delicious! The bulk of this recipe is done in the Instant Pot, however, you will need to turn on the oven to finish cooking them. 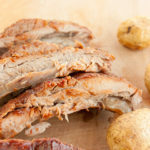 For this recipe, you only need to have salt, black pepper, ribs, and your favorite BBQ sauce!! 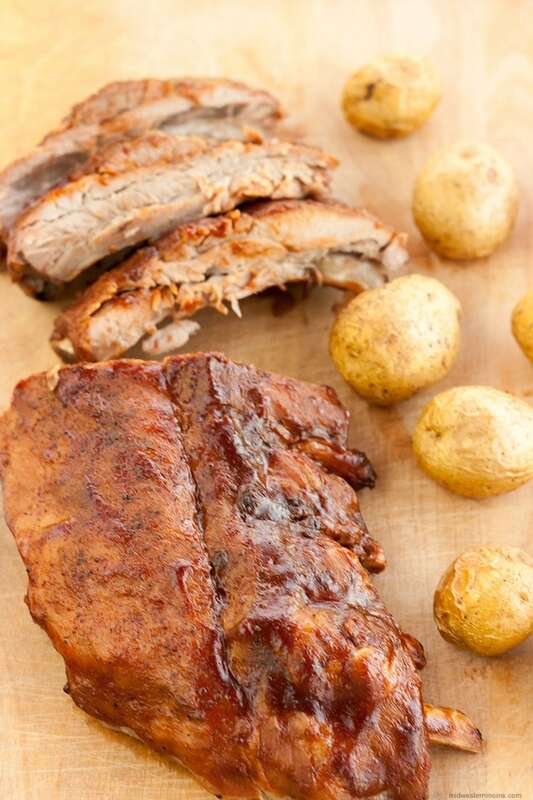 I just love how simple it is to make these ribs! Less than 5 ingredients! The only thing I missed about these ribs is the smokey flavor you get when cooking them on the grill. I would bet if you added liquid smoke to the BBQ Sauce, it would help. Did you know you can buy many of your grocery items on amazon! I love shopping on there so I don’t have to drag the kids to the store. Plus if you are a Prime Member, you get free 2-day shipping! Both of which you probably already have, but make sure you have them. The tongs are perfect to get the ribs out of the instant pot. So are you now hungry for ribs? A quicker way to cook BBQ ribs and still get the same fall off the bone goodness! Delicious Fall off the Bone Ribs cooked in an Instant Pot! Prepare the ribs by removing the membrane on the back of the ribs. If needed, cut the ribs in half so they will fit in the instant pot. Season the ribs by adding a generous amount of salt and pepper. Place 1 cup of cold water (tap water is fine) in the instant pot. Add a trivet in the instant pot. Lay the ribs on top of the trivet. Seal the lid. Cook on High Pressure for 25 minutes. When the time is up, allow for a natural release of pressure. 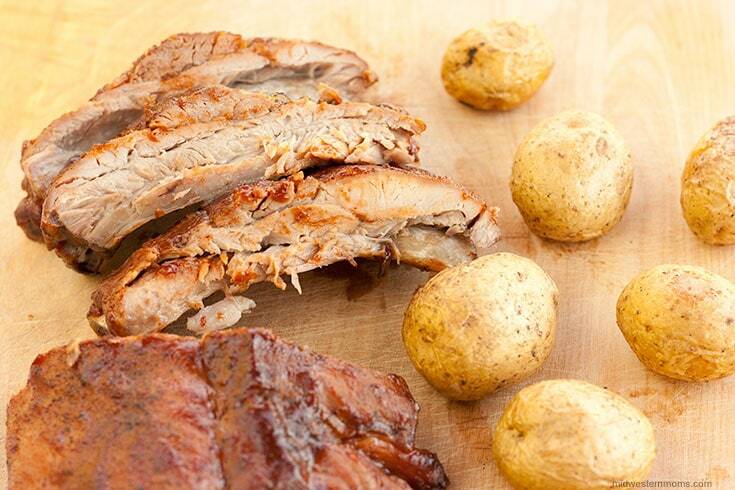 While the ribs are cooking in the instant pot, preheat the oven to 450 degrees. 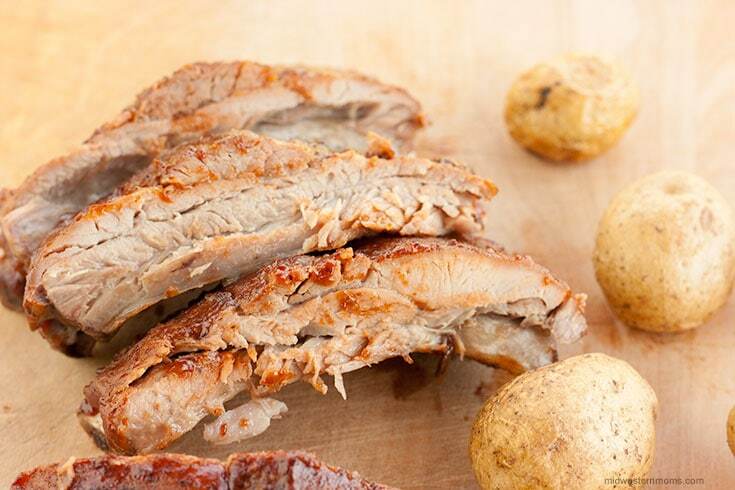 Remove the ribs from the instant pot when ready and place them on a foil lined baking sheet. Apply a generous amount of sauce on both sides of the ribs. Hi Betty! Everything is going well. I am happy you have worked up all my dishcloths! I will probably be making up more in the future. Have a great day!